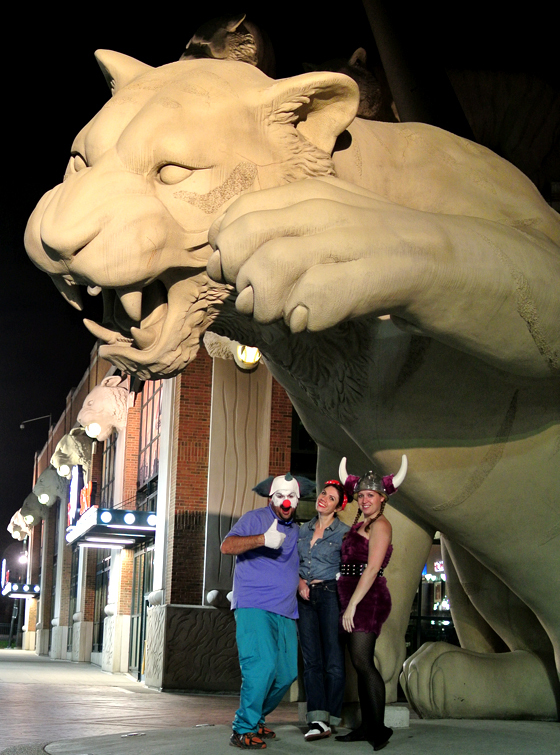 So I mentioned the other day that last weekend I went to Detroit to visit one of my best friends and her boyfriend. 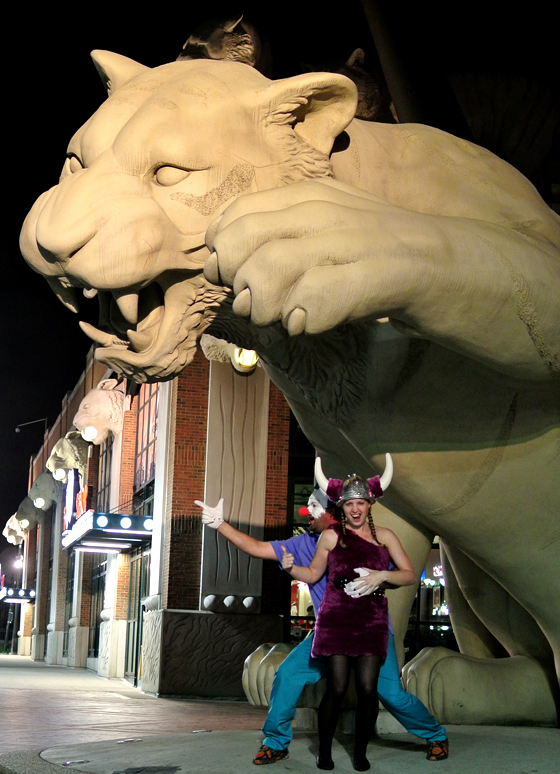 We got dressed up and went to Theatre Bizaare, an enormous, over-the-top masquerade ball/burlesque/Halloween party that fills the giant and creepy Masonic Temple with thousands and thousands of elaborately costumed guests. Except me. My costume was super last minute and easy and pretty much looked like what I look like every day, but whatever, I had fun and was in comfy shoes. Afterwards, like we’ve been doing for many years (remember the photos from last year? 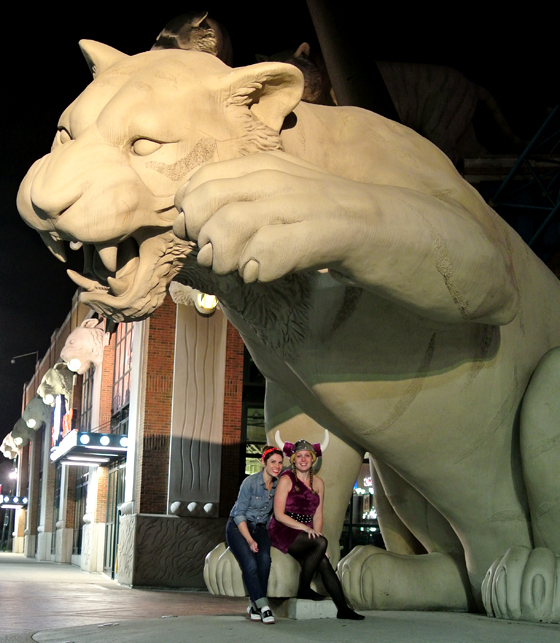 ), we stopped at the tiger statue in front of the Detroit Tigers’ Comerica Park to take pictures. It’s silly. And cold. And so much fun. This year was particularly cold. Here’s to another successful (pre) Halloween in the books. Time to start thinking about next year’s costume so I’m not scrambling the morning of trying to figure it out! What are you dressing as this year? Andy wants to be a puppy spider. Ew.